The quality of camping in Croatia has been recognised by camping enthusiasts since the very start of the European camping scene. Even when visiting the Adriatic with a caravan was a real adventure, often taking 24 hours or more to reach the nearest Croatian island from Western Europe, European camping fans would travel to Croatia’s campsites each year in ever increasing numbers. Today, Croatian camping is more popular than ever, and more luxurious than ever. The stereotype image of camping has been replaced by modern, well equipped and hospitable campsites, usually with their own beaches. Innovations range from the introduction of family friendly mini-campsites through to larger holiday parks boasting their own chalet apartments and mobile home facilities. More than 2 million people visit Croatia each year to spend their camping holiday surrounded by clean beaches, clear blue seas, wonderfully preserved natural surroundings, and of course sunshine. Camping.hr is the official camping portal for Croatia and has been designed to help you find your ideal camping holiday. Choose a camping destination to your liking, find a campsite, book your holiday, and we look forward to welcoming you to Croatia – the true European camping destination. 20% off in the periods 19.06.-22.06. and 27.06.-07.07.2019. Hot Summer offer for July at the campsite Galeb! Summer in Dalmatia - book 6, pay 4 nights! Spring offer at campsite Straško - discover the island of Pag! 10% off on accommodation in mobile homes! Great novelties at the Zaton Holiday Resort for your even greater vacation! Introducing new and exciting additions in 2019. Arena Kažela - new look for the season 2019! Numerous novelties for a luxurious holiday. 2019 is really special in many ways for Croatian campsites. 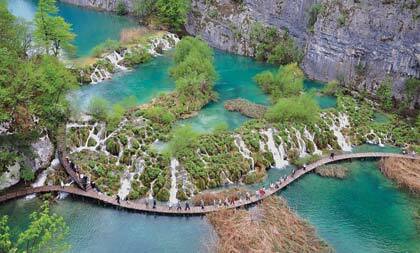 Croatia - one of the leaders of the European camping tourism! 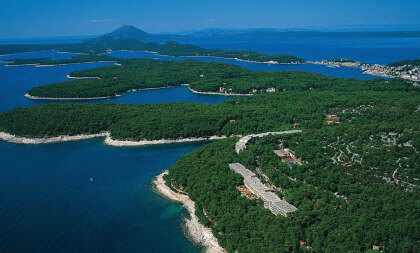 Numerous prestigious awards to the campsite Čikat at the island of Lošinj! Great start of the year 2019! Fully renovated campsite which opens for the summer season of 2019! Campsite Šimuni offers a high-quality sanitary facility!